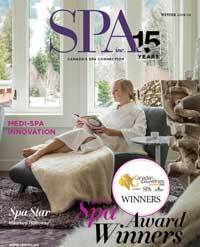 Over the last few years, the word wellness has become a staple in the spa industry. A 2010 study* supports this by showing today’s consumers most frequently mention exercise, eating better, and visiting a spa when asked how they enhance their wellness. 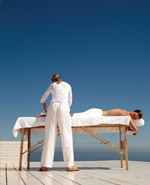 Introducing a health or fitness element to a spa can attract clients and add a new revenue stream. In a survey of industry members, nine out of 10 respondents said they were planning to make wellness-related investments in the next five to 10 years. The challenge remains in deciding which health or fitness option complements your current spa menu and how to use it to build a more complete wellness package. Kailee Kline, the founder of Toronto’s Healthwinds Health and Wellness Spa, has been blending elements of spa and wellness at her facility for more than 20 years. “I wanted to create something that you would experience in Europe where you’re examined by a physician before you have any treatments and you travel to the spa to maintain your health or to get healthy,” she says. With that in mind, she created Healthwinds, which offers everything from nutritional counselling to aid for chronic pain and, of course, spa treatments. 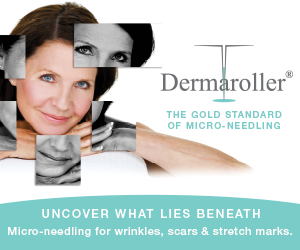 “We started off in a medical building so we had a lot of physician referrals and clients really trust us,” says Kline. Partnering with medical establishments makes a spa’s wellness services known to clients who may not typically visit a spa. Clients with chronic pain may be referred for massage therapy or hydrotherapy and those with stress could be sent for wellness counselling. Kline said when she first start Healthwinds, they also added fitness classes, but found they didn’t receive much attention from clients and decided to drop them soon after. Country spots or big, corporate locations are better suited for fitness programs since they often have more space to work with. Spa Eastman is a country locale in Quebec that offers a variety of activities throughout the week including anti-stress walks, yoga in the water, and cardio boxing, but even spas in the city can incorporate fitness in unique ways. “If you’re in Toronto in a hotel, you could set up a program of taking people for a fitness walk with a touristic element, but charge for it,” says Pat Corbett, founder of The Hills Health Ranch in BC. Corbett is a 30-year veteran of the industry and his name was added to the Canadian Tourism Hall of Fame in 2009. The Hills was the first health and fitness vacation resort in Canada and Corbett says it’s important for spas to follow fitness trends to stay ahead of the wellness curve. “The main thing that changes for us is the demands for fitness programs and classes. For example, if you go back 10 years ago, people were not into yoga like they are today,” he says. Corbett says the spa is a very integral part of the health and fitness experience the ranch provides. The resort allows guests the opportunity to choose from a list of premade packages from “Hiking and Spa” to the “Six Night Anti-Aging Blitz” or build their own package through the resort’s website. Smaller spas can follow this model by combining spa services with other wellness opportunities like mind-body treatments or acupuncture, allowing guests an afternoon of enjoyment rather than a singular treatment. 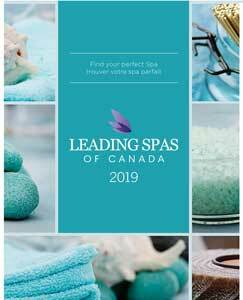 For spas that are looking to add a wellness element but don’t have the resources for a wellness or nutritional consultant, it is best to start small with retail items that fuse with your current spa options. “We can’t be with people 24/7,” says Kline. “It’s important they get into wellness habits on their own and consequently they’ll start making different choices in their lifestyle.” From vitamins to supplements to detox drinks, there are thousands of take-home options to improve health. When a guest has muscular aches and pains, Kline says they mix the salts with juniper and if a client needs a metabolism boost, they’ll add a bit of rosemary oil. 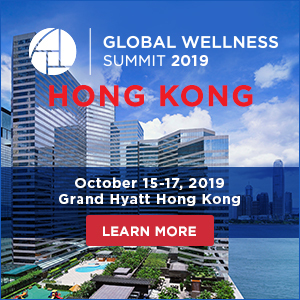 With an estimated 289 million wellness consumers in the world’s 30 wealthiest countries, there is plenty of opportunity for all spas to grab a piece of the wellness pie.